The Bentley Continental GT came out in 2002 and proved to be popular. The 2008 GT Speed was the first answer to that question. 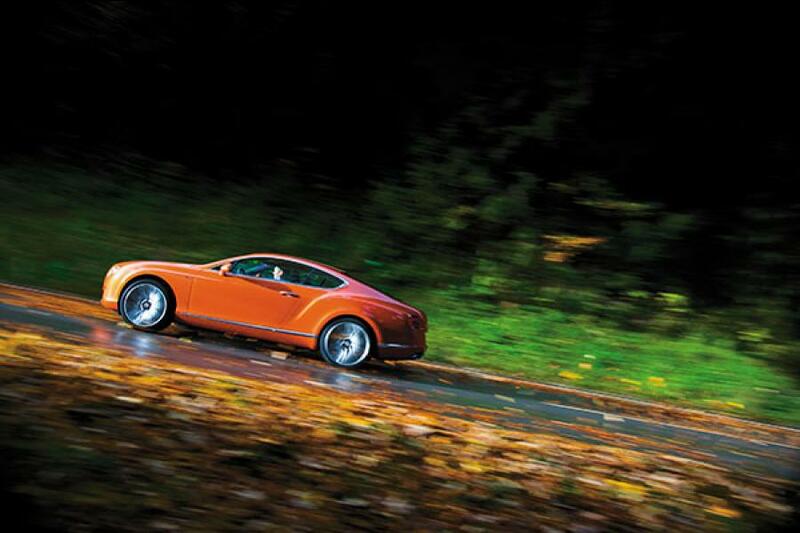 And that’s more or less the raison d’être for the new Continental GT Speed. Bentley is Volkswagen’s home for their marvelous W12 engine and in the new car the engine has been fettled for (even) more performance. There are clever things to save fuel, produce lower emissions and what not, but more to our taste, this car produces 500 Nm of torque at idle. And then at 2,000 rpm, it plateaus at 800 Nm. You scud across this plateau till 4,000 rpm and then there is the 625 PS of peak power still waiting to be deployed. There is the new ZF 8-speed transmission, which is four times quicker than a normal automatic and twice as quick as a dual-clutch. And it can change multiple gears directly if it thinks it is required. On the road, this makes you hold your breath. If you floor the throttle, like all Bentleys are supposed to, the twin-turbo 6.2-litre W12 will immediately begin to shove all the air in a three-mile radius through the radiator while trying to deliver the horizon into the cabin through the expansive windshield. Lucky, then, that our driving route was on the autobahn outside Munich, and that despite the near-freezing, rainy conditions, large stretches still wear no speed limits. You can waft along with epic smoothness at 170 kmph, should your heart be set upon it. But 285 kmph, just a few seconds away, is a vast improvement. The engine’s note changes from its near tomb-like silence to a deep boomy roar. The suspension stiffens with speed and the gearbox selects instantly, without jolt or delay, precisely the right gear. Inevitably, some slow car, which began as a dot in the fast lane far, far ahead, has taken shape and despite its driver’s best efforts, is still going 100-150 kmph slower than the GT Speed. Lean gently on the carbon-ceramic disc brakes and the GT Speed’s nose dips and it smoothly takes up a mildly impatient station a safe, non-aggressive 10 car lengths behind. As soon as the lane clears, near 300 kmph speeds arrive in a flash. This kind of performance is massively, massively impressive. It’s a bit like having James Bond for your butler. And all you need to get your hands on it is Rs 2.91 crore.